PM me if you decide you want to, I'm looking for a Moto mixte and I like that one. By the way, here is mine. 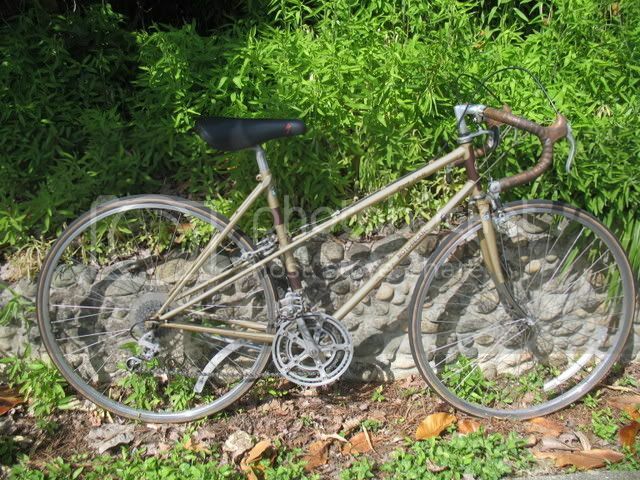 Oddly, stringbreaker and I bought our Motobecane Grand Jubile mixtes about a week apart, but both in south Puget Sound. I paid $80? or $100 bucks for this beauty.